Lisa Mullins: 17 foreigners were present at the Pakistani naval base that was attacked today; 6 of them were Americans, the other 11 were Chinese. The Chinese presence highlights China’s growing relationship with the Pakistani military. 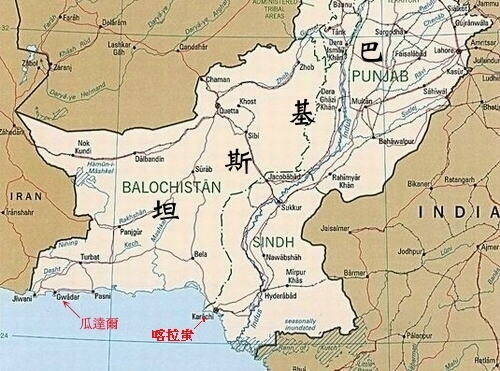 Now, Pakistan has invited China to build a naval base in Gwadar, that’s in the southwest of Pakistan. China has already helped to build a huge new commercial port there. Jim Holmes is professor of strategy at the U.S. Naval War college in Newport, RI. Jim, as you know, if you look at a map you’re gonna see that a naval base in this Pakistani port has the potential, one would think anyway, to dominate the world’s busiest oil shipping lanes in and out of the Persian Gulf, which sounds like a threat to U.S. interests. Is it? Jim Holmes: In a sense I think it is, but if you look at Gwadar on the map, if you call up Google Earth, you will notice it sits on a narrow peninsula. It does not look very defensible against air strikes or against cruise missile strikes from thesea or whatever, so I’ve tended to be more skeptical about Gwadar. Mullins: So let’s be clear on this. Then will there be a Chinese fleet there? It is as we said, already a commercial base. Will it be a Chinese military base on Pakistani soil? Holmes: Well, I think that’s the $64,000 question. Admiral Willard, the commander of the U.S. Pacific Command, notes that the base infrastructure or I should say, the commercial port infrastructure that China has funded in the Indian Ocean is clearly adequate for military use as far as the channel being deep enough, having big enough piers and whatnot, but at the same time in order to forward deploy a fleet for a long period of time you need, you’re gonna need major repair facilities, much like you would see with the U.S. 7th Fleet in places like Sasebo and Yokosuka. Mullins: In Japan, and so what’s the Chinese interest then if it will not become a military port with a fleet established there? What’s the purpose? Holmes: Well, I think it gives them the ability to support, I mean they’re clearly interested in the counter piracy mission. They’ve been there for over two years now. They need access just to put into these ports simply for refueling and things like that. That’s the sort of temporary deployment to the Indian Ocean is a far different thing from actually keeping a standing naval fleet in the region. We should just keep an eye on construction at these places in case something changes and they do opt to go for full bore naval bases. Mullins: You seem as though your eyebrows are not being raised by this, but this comes at a time of considerable tension between the U.S. and Pakistan after Osama Bin Laden’s killing on Pakistani soil. What is the signal that this announcement about the Chinese naval base sends to Washington? Holmes: Well, I actually think this is a Pakistani signal and not so much a Chinese signal. If you parse the words of the Pakistani announcement about this it doesn’t appear quite you know, ironclad that the Chinese have actually signed on to this. This to me seems like a Pakistani signal to Washington that Pakistan has other options than maintaining close ties to the U.S.
Mullins: Jim Holmes is professor of strategy at the U.S. Naval War college in Newport, RI, talking about plans for a Chinese naval base in Pakistan. Thank you. Type 052C Class Destroyer hull number 5 and 6? Reads like the portable Type PF-89 FAE in action. Mini PLA in the making? China defense fourm is now back online. ZOMBIES!! China-Defense Forum Under DOS Attack! An update on PLA's Mi-171 fleet. New PLAN ten barreled CIWS unmasked. Slow boat to Shanghai for the Qing class SSK.